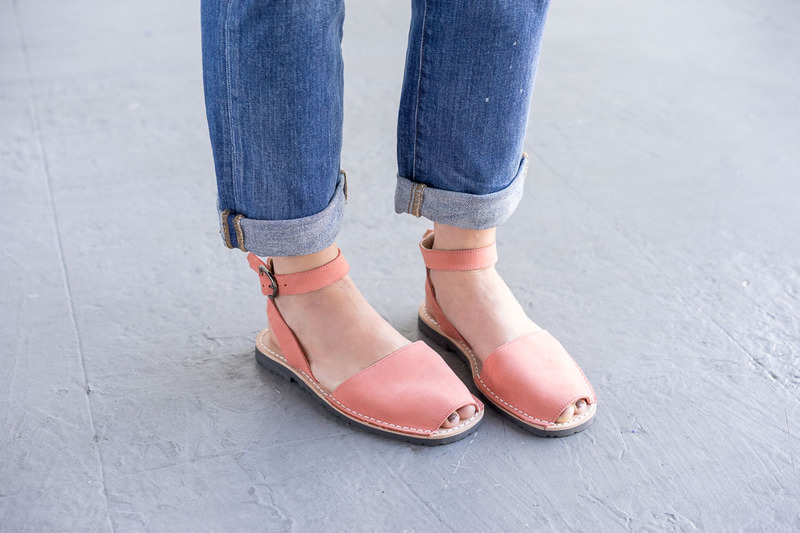 A warm salmon color, Our Ankle Strap Pons Avarcas in Coral are the perfect hint of pink. 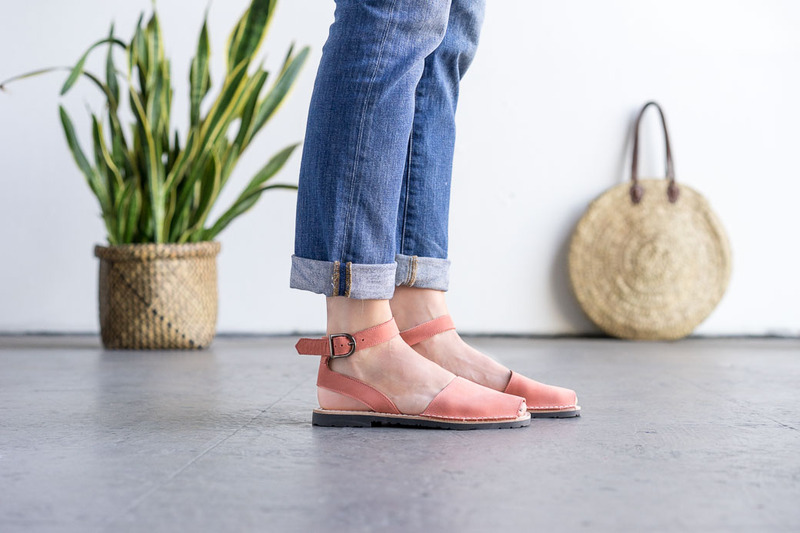 Handmade & inspired by the traditional Spanish shoe the Menorquinas, our Pons sandals are crafted with soft high quality nubuck leather, have a lightweight rubber sole, and have an ankle strap with a buckle closure for a secure fit. 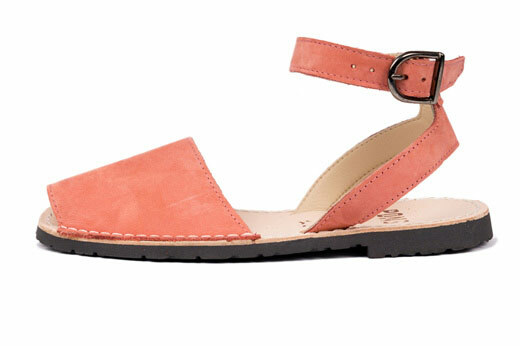 We love to mix this color with aqua blue and classic neutrals like white, grey, brown and navy too!